Pictures courtesy of Troy Ehrensberger and Redgrain Media. 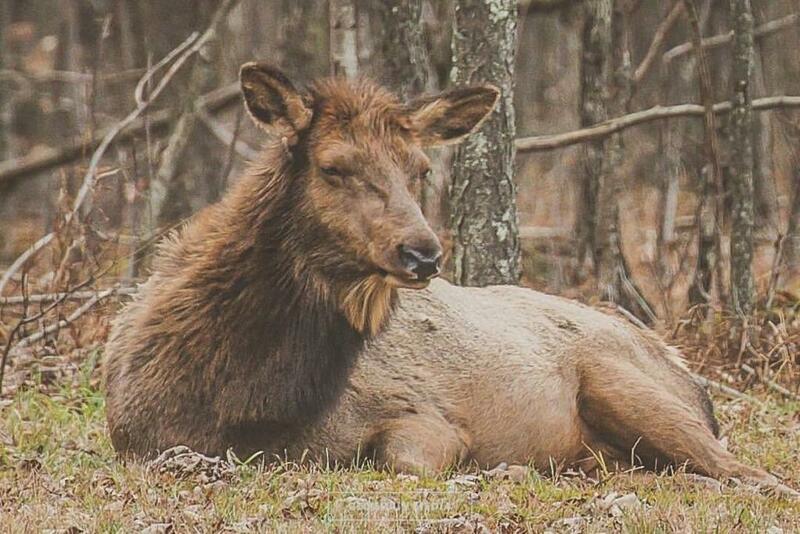 Be sure to read the History of Pennsylvania’s Elk. Troy was sitting on his couch when his wife told him about a rumor she had heard spreading through town. He hopped on the computer to check it out and stared at his name on the screen in disbelief. 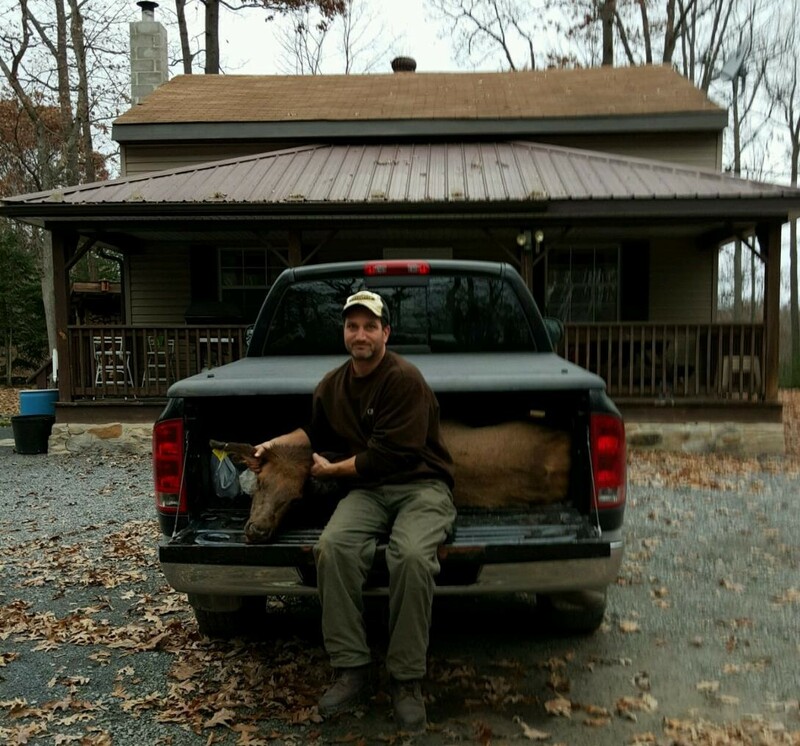 Later that day a Pennsylvania Game Commission representative called to explain that a packet was being sent to his address and it contained all the necessary information. After he hung up the phone it took him awhile to fully appreciate what had just happened, he had waited 13 years for that brief conversation. He won the lottery, a once in a lifetime opportunity, he was going to hunt the Pennsylvania Elk. Troy was drawn for an elk cow tag in zone 12. 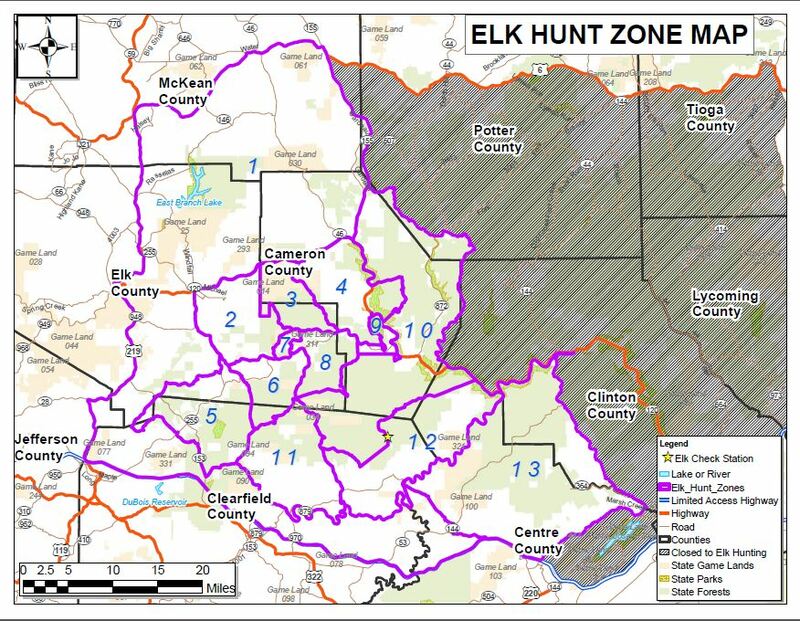 Even though Troy lives in the heart of the Pennsylvania elk country, he was drawn for an area he was unfamiliar with, zone 12 was more than an hour drive. However, through a friend, he was invited to stay at a hunting camp much closer to his designated area. Dan and Polly, the camp owners, were gracious enough to host Troy and his hunting party – Tony, Jake, and Scott – at Camp Bud Bunch, where they were treated like family. 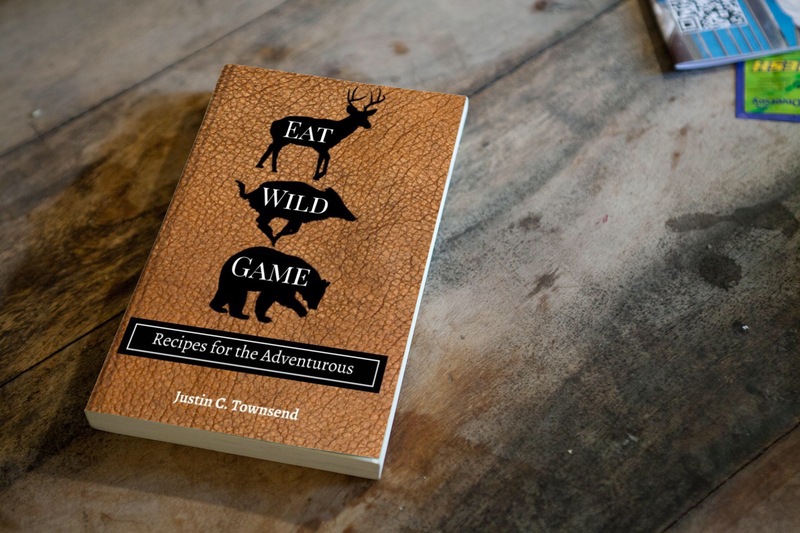 Since he decided on a complete do-it-yourself hunt, without the aid of a guide, he wanted to be prepared as possible. Troy poured over topographical maps and any other information he could find to locate the spots that were holding elk. He approached scouting much like he does for whitetail deer, looking for food sources, bedding areas, and heavily traveled paths. Troy was able to find good sign at the top end of State Game Lands 321 and a plot of private property he was able to gain permission to hunt near Karthaus. Troy spent the weeks leading up to the season sitting in the evenings, he consistently saw elk, and was anxious and excited for the season to begin. 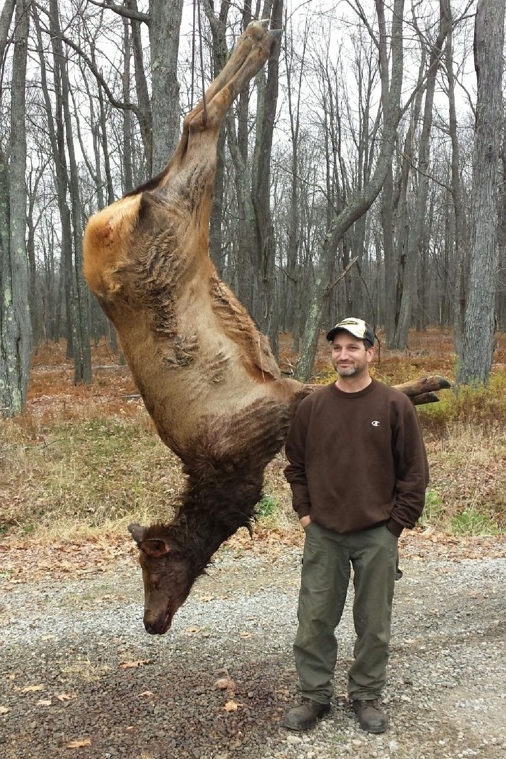 People that say hunting Pennsylvania elk is easy have obviously never done it. Troy spent the first three days of the season becoming increasingly more frustrated. He was seeing elk, but without any shooting opportunities. He spotted a herd of about 25 feeding on the adjacent hillside which was posted property, several large bulls, one being an 8×8 casually walking down the road, and a good number of elk in a refuge not open to hunting. Troy’s strategy was to sit on stand until late morning, still hunt for bedded elk up to lunch, then back to the stand for the evening. Troy checked out the elk check station on Tuesday afternoon, there he learned that both bull elk tags for his zone were filled, as well as the majority of the cow elk tags. By Thursday afternoon Troy was beginning to second guess his decision to not use a guide. That evening he set up on the opposite end of the property, hoping the change of scenery would turn his luck around. He watched the same herd of 25 feeding on the posted property, but this time they started making their way off the hillside, towards the edge of the woods where he had been hunting the day before. They were feeding through a gulley, out of shooting range, when Troy made the decision to stalk into a position in hopes of getting off a shot. He and Tony, who was filming the hunt, got on their hands and knees and made their way around the perimeter of a field to the head of the gulley in an attempt to head them off, while Jake and Scott stayed back. Troy and Tony crawled into position once they reached the other side of the field, ranging the herd at 178 yards, but they were all grouped together and he wasn’t able to pick out a cow for a chance of a clean shot. A small group started making their way out of the gulley into an opening and separated themselves from the main herd, finally presenting an open shot. Troy, still in the prone position on the side of the gulley, readied his Ruger 7mm Mag, trying to keep his nerves in check. The first elk he brought into the scope caused a rush of adrenaline, making him force himself to take his time. When the shot echoed through the valley, Troy saw one cow jump back as the other fell to the ground. He hit an unseen tree branch, causing a piece of the tree to hit the other cow and making his shot hit high. But the elk was down, completing his once in a lifetime hunt, and to top it all off it was caught on camera. Troy’s adventure had come to an end, after 13 years of applying, he finally had an elk on the ground. He knew there was a lot more work in front of him but he was savoring his once in a lifetime moment. It was surreal experience and he still couldn’t believe he was drawn to hunt for the Pennsylvania Elk. Troy at the Check Station. The cow elk had an estimated live weight of 365 pounds. 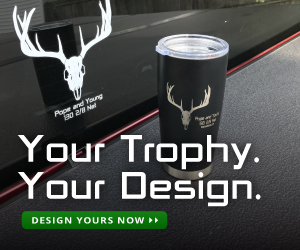 Special thanks to Troy Ehrensberger for providing the details and information about the hunt and allow Harvesting Nature to publish the story of his once in a lifetime hunt.